...a little becomes a lot. 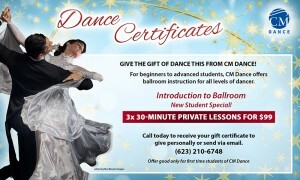 Become confident on the social dance floor with lessons from CM Dance. 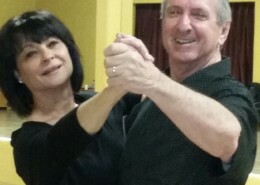 We’re here to teach you Waltz, Tango, Foxtrot, Quickstep, Viennese Waltz, ChaCha, Rumba, Samba, & Swing. 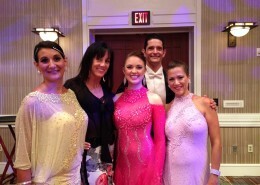 Ballroom Dancing is a beautiful sport for participants and spectators! Join our CM Dance group at local competitions for a glamorous experience! 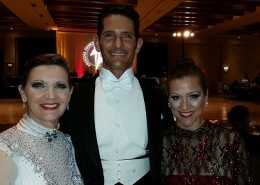 Are you new to the world of ballroom dancing or know someone who is? Now is the time to give it a try with one of our New Student Specials. We are independent dance teachers, and can teach throughout the Phoenix Valley and Northern Arizona. Contact us directly or come find us on our Calendar. We are so proud of all of our students! No matter what level–beginner bronze social dancer or Gold level top competitor. We all have fun on this journey together…laughing, learning, discovering what our bodies and minds are capable of. If you’ve never tried ballroom dancing, join us and our students for a few private or group lessons to experience a whole new world. You won’t regret it, we promise! 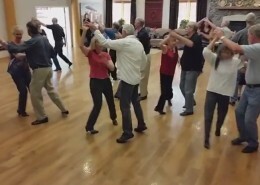 Waltz Group Class: Join us for tons of fun! 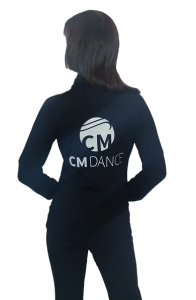 CM Dance warm-up jackets now available. Contact us to order yours today. I want to order one!